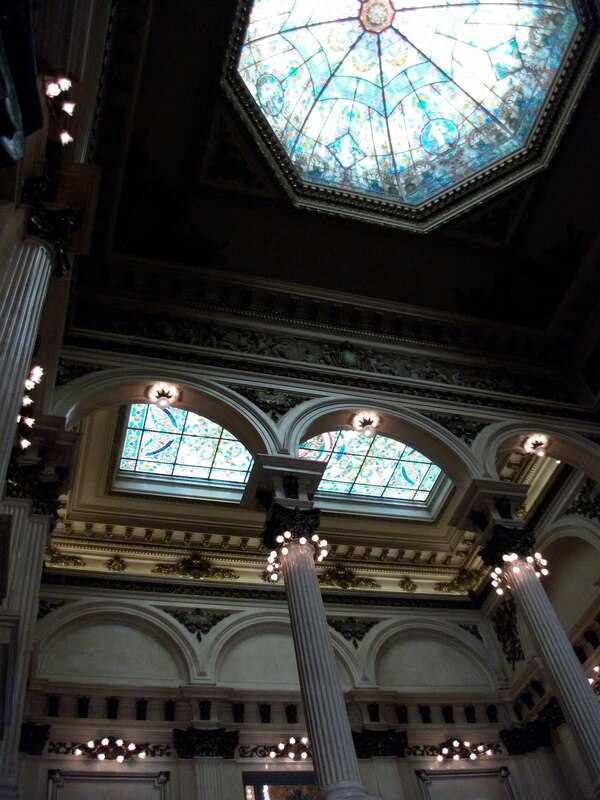 Last Sunday we made our second trip to the newly reopened Teatro Colon, this time for the monthly free concert at 11 am. Kurt got to the opera house in time to snag two first-come, first-served tickets in the 18th row of the ''platea,'' which usually go for around $125 USD. The Camerata Bariloche played pieces by Rossini, Albinoni, Suk, and Fernando Hasaj, a violinist and the group's musical director, who died unexpectedly in his early 50s shortly before the performance. The program was dedicated to him. Everything about the renovation of the theater makes you feel good, from the new red velvet on the comfortable seats to the old world curtains framing the entrances to the balconies. Everything shines, especially the music. We have always heard that the higher you sit the better the sound. But we found the acoustics at orchestra level to be as superb as in the galeria. Luciano Pavarotti reportedly said that the acoustics at the Teatro Colon were so good that every mistake could be heard. On Sunday we understood what he meant. Toward the end of a program a piece of sheet music slid off a stand. Hitting the floor it made as much noise as the snare drum used in the piece. 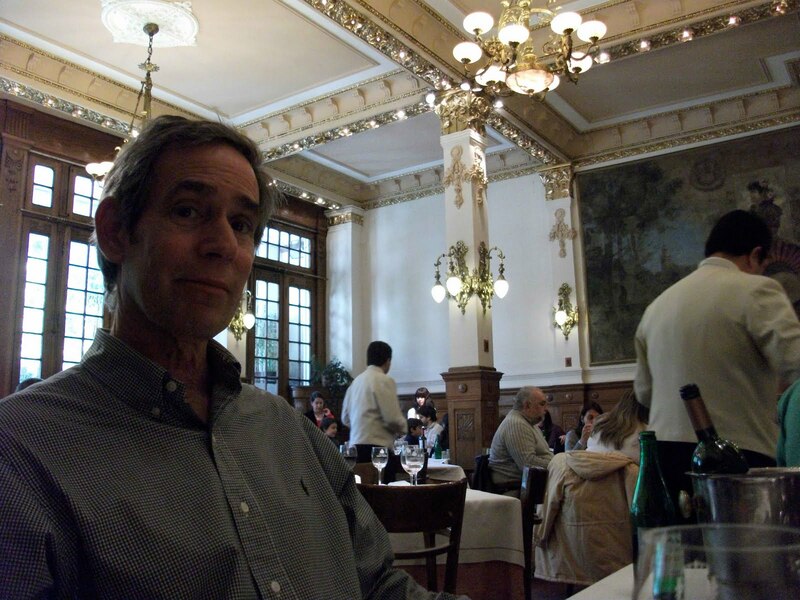 Afterwards we headed across Avenida 9 de Julio to Palacio Español, one of our favorite "special occasion" restaurants and a fitting follow-up to the Teatro Colon excursion, since it was founded in the same year (1908). Like the Teatro, the Palacio shines in both form and in function. Following an appetizer of garlic soup, we shared a huge paella, fit for a king. And after such a day of gilt, we indeed felt like royalty.